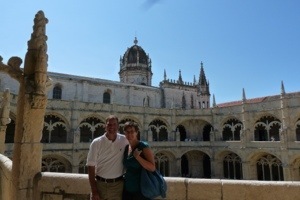 On our final day in Lisbon, we set off to Belém to learn more about Portugal’s explorers. In particular, Vasco de Gama, whose explorations led to the creation of a spice route that led to Portugal’s economic dominance for many years. 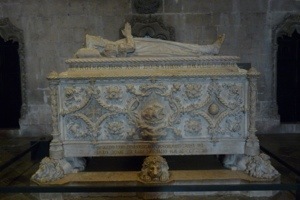 We visited his tomb at Jerónimos Monestery, which is a beautiful example of Manueline architecture. But while in the neighborhood, we also learned more about an invention of the monks who lived in the monastery — the pastéis de nata. 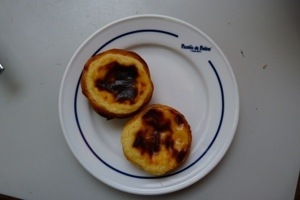 While in Lisbon, we had more than our fair share of these yummy little custards cups, but apparently we saved the best for last. 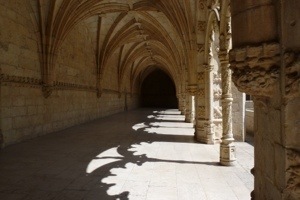 Apparently the original and secret recipe of the monks of the Jerónimos Monastery is handed down now through Pastéis de Belém. I’d heard a lot of hype about this little pastry before we went and I was prepared to be disappointed. Boy was I proved wrong. Not only was the custard perfect, the crust was surprisingly crispy and flakey. 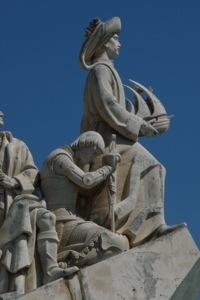 After enjoying that tasty treat, we learned more about Portugal’s leadership during, the Age of Discovery. 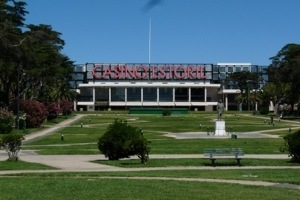 Quite a lot to be said for this relatively small country. 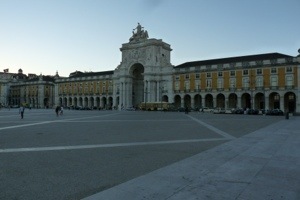 We left Lisbon Wednesday night to take a train to Madrid. We crammed a lot in three short days, enjoyed every minute, but know there was so much more to experience. Yesterday, we kicked off the first day of our time away. 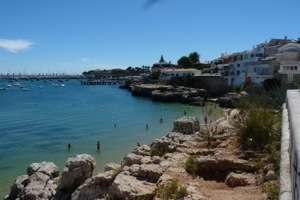 After flying overnight to Lisbon, we rallied and hopped on a train to see the coastal towns of Estoril and Cascais. Rested and recovered on the beach. We had some early evening petiscos on Praca do Comércio, overlooking Ponte 25 de Abril, which looks like a replica of our hometown Golden Gate Bridge. 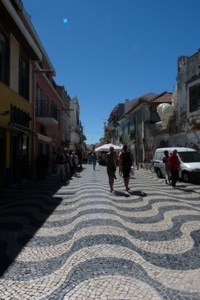 That evening, we got an extra late start and ended up exploring the streets of Bairro Alto for a late night dinner. We ended up at Zapata, a hole in the wall restaurant that we never would have found if we had been looking for it. We’re fairly certain a Portuguese grandmother was in the kitchen cooking for us.